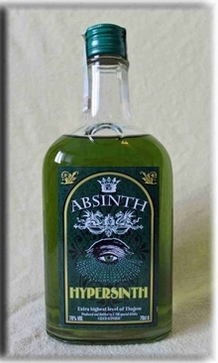 Location: Home » ABSINTHE » CAMI ABSINTHE from Czech » ABSINTHE TOULOUSE LA.. The Christmas season is coming and many of our Absintheurs expect at this festival the well-liked and respected Absinthe Toulouse Lautrec Christmas Edition. But since we were "forced" by the connoisseurs of this absinthe few years ago to distill this wonderful abssinthe the whole year and that we really should not get the idea to stop production after Christmas, lacked in recent years the charm of the Special Extra for Christmas. So we came up with the idea of a special Christmas edition, which is really only produced just before Christmas, that this christmas festival would be again an extraordinary event , which can be enjoyed with an Absinthe Toulouse Lautrec Christmas Edition Barrique. Since I have been testing many attempts of absinthe, aged in oak barrels, and many of these attempts have failed in my eyes, the idea was born to improve this dilemma and create our own absinthe barrique, which tastes even like absinthe and not like whiskey. No - that was not our target: Our target was, to create an barrique Absinthe, whose tasting symphony, which is played on the palate, together with the oak flavors should be round and balanced, and should remain an absinthe with absolute absinthe effect and just not should mutate to a whiskey. Important was there the bevel of the oak barrel, the correct degree of char (smokiness) and most importantly the right storage time. Many tastings of the barrel content are necessary here on the way to the perfect result. The aromas of the oak wood have to be soft cling to the flavors of the real absinthe and not be too central. Furthermore, we do not demand here insanely high prices as usual in many other barrel products, because it's just a barrel. Finally, the Absinthe Toulouse Lautrec Christmas Edition Barrique is somewhat very special and a absolutely rarity, but it still should remain affordable for the connoisseurs. This special edition is only for Christmas 2014 and it consists of only 215 bottles, which probably will soon find their lovers. You can beg and beg, but this absinthe is not produced throughout the whole year, not because I want to annoy you, but make sure it is something special. In this absinthe is our whole heart. 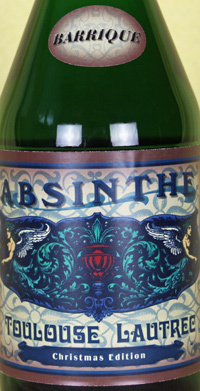 We are curious about the opinions of our absinthe friends and look forward to the praise. But we are also open minded against all criticism. 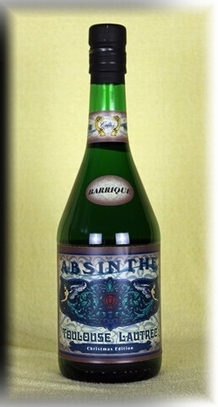 Only in this way Absinthes can be improved in the future.